In my youth, I thought of Wall Street as one of the contending interest groups in American democracy, although with organized labor, the auto industry, the retail industry, the farmers and so on. I later came to realize that Wall Street is a kind of parallel government, with its own powers and able to negotiate with the elected government on near-equal terms. An elected government depends on the public for votes, but it depends on the banking and financial system for credit. Bill Clinton famously felt unable to carry out his ambitious plans because they would cause the bond market to “lose confidence” in government. This would drive up interest rates so that the cost of government would be unsustainable. But bankers and financiers cannot govern. They are created by law and could not function if laws were not enforced. They cannot even govern themselves internally. During the financial crisis of 1907, the United States’ most powerful banker, J. Pierpont Morgan, summoned bankers and CEOs to his mansion in Manhattan and told them what they’d have to sacrifice to bail out the system. No other American banker has ever hand the power and force of character to be able to do that. After the financial crash of 1929, bankers and Wall Street financiers looked to the U.S. government to save them, which it did, even though many smaller banks went under. The U.S. government created deposit insurance, and then a system of regulation for insured deposits. The stock market and the banking system were the first part of the U.S. economy to fully recover. The goal of both Franklin Roosevelt, the greatest reformer of the 1930s, and John Maynard Keynes, the greatest economist of that era, was to stabilize the capitalist system, not to overthrow or radically change it. Keynes in particular hoped that monetary and fiscal policy could bring about prosperity without radically changing the capitalist market economy. In the aftermath of World War Two, the Treasury Department and Federal Reserve System stabilized the international financial system in the same way that they stabilized the U.S. system. In so doing, they sought to promote U.S. exports and U.S. investment abroad. They made the U.S. dollar the world’s medium of exchange, which continues to this day, and created international institutions—the IMF, the World Bank, the WTO, the G-7 summit meetings of the world’s leading capitalist countries. Both Washington and Wall Street were intelligent enough to see that economic prosperity in Europe and the rest of the world was good for American business. I came of age in the early 1950s and all this seemed good to me at the time. It also seemed good to the Democrats in the USA, the Labor Party in Great Britain and the non-Communist socialist parties in Europe. It seemed good to most of the labor unions in North America and Europe. Labor peace was achieved in the United States by the so-called “treaty of Detroit.” The United Auto Workers, setting the example for other unions, agreed to refrain from challenging the power of management. In return management agreed that workers would share in the benefits of business growth. What followed was what even Communist and socialist writers call a “golden age” of capitalism, based on economic growth and a mass consumer market. It also was an age in which, unlike the first half of the 20th century, there was no conflict, let alone military conflict, between powerful industrial nations. This ia a great positive achievement, which should not be taken for granted. The underlying problem was that the priorities of bankers are inherently different from the priorities of the public. Bankers, above all, want a guarantee that when they lend money, they will be paid back, and paid back in currency that has not lost its value. The mission statements of the new economic organizations were to control inflation, stabilize currency exchange rates and maintain the liquidity of the financial system—that is, the ability of banks and financial institutions to meet their obligations. Intentionally left out were such goals as economic growth or full employment, because they might come into conflict with the former. During the late 1970s, economic growth slowed, but demands by labor unions for increased gains did not. Profits fell. Inflation rose. In the United States, the Federal Reserve System resolved to protect stockholders and profits by stopping inflation, even though the price of doing this was to crash the economy. President Ronald Reagan and Prime Minister Margaret Thatcher successfully broke the power of organized labor, cut back government serves and the social safety net and freed banks to engage in riskier but more profitable investments. What followed was a series of financial crises, each more serious than the one before, with banks being bailed out by governments and international financial institutions. The first effect of tight money was a Third World debt crisis. Poor countries, through no fault of their governments, found they had to raise taxes, cut government services allow higher prices and lower wages in order to pay their debt service. In order to maximize profit, banks eliminated all the slack in their systems, which made the whole banking system more fragile. All their resources were deployed, which meant that one small failure could cascade through the system. Bank regulators had a name for this—”contagion.” Lenders had to be bailed out to prevent contagion from spreading through the system. Panitch and Gindin describe the successive bailouts in great detail. The great problem of the new system, from the standpoint of those who ran it, was that the system required the public accept austerity in their capacity of workers, but they continue a high level of spending in their capacity of consumers. The solution to this problem was increased debt. But this solution may have reached its limits. 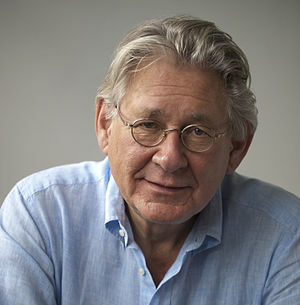 The economist Michael Hudson argues that world debt—consumer debt, business debt, government debt—is greater than can ever be repaid. This was the situation prior to the Great Depression. Hudson has written that either debt will be restructured and partly or wholly written off, or there will be an economic crash that wipes out the debt. Panitch and Gindin do not focus sufficiently on this problem. The creation of the present system was made possible by American power. The United States became the world’s greatest industrial power sometime before 1900. It became the world’s largest creditor nation at the end of World War One. It escaped the destruction of both world wars. At the end of World War Two, one of the world’s biggest economic problems was a shortage of dollars with which to buy U.S. exports. American wage-earners at that time had the highest material standard of living of workers anywhere in the world. Workers elsewhere in the world wanted to be like us Americans. Today the United States is a declining industrial power. It is the world’s leading debtor nation. It has a large trade deficit. American workers’ material standard of living is declining. But the global financial system created by the United States is still strong and still supported by the U.S. Treasury and Federal Reserve. And the dollar is still the world’s currency, despite the underlying problems of the U.S. economy, because the global financial system needs it to be. It is a fact, which Panitch and Gindin acknowledge, that China and Japan flourish under the present system and don’t want to change it. They say that American corporations still flourish and that “American empire” still dominates the world economy. I guess in some sense this is true, but their view doesn’t reflect how much the U.S. economy is being hollowed out by dependence on foreign suppliers and fragile global supply chains. American corporations are no longer all that American. In the first half of the 20th century, American bankers were capable of acting through intelligent self-interest. But in the late 20th century and today, they know they will be bailed out and so they see no reason to moderate greed. Paul Volcker, the conservative bank regulator, is quoted in the book about bank officials who refuse to allow their banks to be saved if it means sacrificing a bonus or an eighth of a percentage point of profit. Volcker, like the other regulators, believes it is more important to save the system than to punish wrong-doers. What this means is that each crisis is bigger than the one before. The mission of regulators has changed from “crisis prevention” to “crisis containment.” Unless something changes, there will be a final crisis that is too big to prevent, just as Karl Marx predicted. Panitch and Gindin say the solution is a democratic movement that is strong enough to turn banks into regulated public utilities that serve the public good. I wholly agree. How and whether this can be brought about is another question. Leo Panitch Wikipedia article. Contains a brief summary of The Making of Global Capitalism. 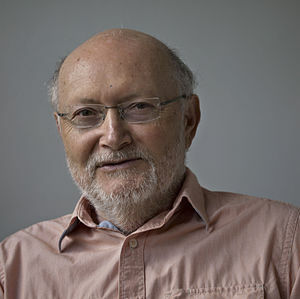 Sam Gindin Wikipedia article. Contains the same brief summary of The Making of Global Capitalism. 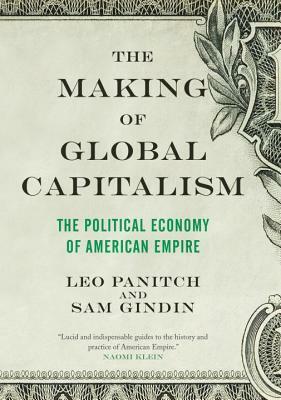 Making Global Capitalism, an interview with Sam Gindin and Leo Panitch on C-SPAN. This entry was posted on May 30, 2017 at 10:21 am and is filed under Books, Capitalism, Economy, History, International, Public Policy. You can follow any responses to this entry through the RSS 2.0 feed. You can leave a response, or trackback from your own site.